Boeing in collaboration with Jaivel Aerospace has announced the launch of a skill development program to train front-line workers in micro, small and medium enterprises (MSMEs) in the aerospace industry. In line with the national ‘Skill India’ initiative, the program aims at accelerating the growth of India’s aerospace industry by establishing a larger pipeline of skilled aerospace workers. Jaivel, a micro, small and medium enterprise, has undertaken work packages as a sub-tier supplier for Boeing’s advanced commercial airplanes such as the 787, 777 and 737 as well as defense platforms such as the AH-64 Apache attack helicopter. Through the new partnership, Jaivel’s role in the local and global aerospace sector will expand, as its helps to train future aerospace workers. “As the world's largest aerospace company, Boeing offers the advantage of a tried and tested, unique curriculum and the knowhow to help an emerging aerospace enterprise like us to strengthen our global aerospace footprint,” said Vipul Vachhani, Founder and CEO – Jaivel Aerospace. “This is an important investment by Boeing, not only for us but also for Gujarat’s potential to become an aerospace manufacturing hub. This is testament to Jaivel’s aerospace team and we look forward to working with Boeing to create an excellent foundation for an aerospace sector in the state,” said Vipul Vachhani, founder and CEO, Jaivel Aerospace. In addition, Boeing has been partnering with leading Indian vocational training institutes, Industrial Training Institutes (ITIs) and Indian partners, including MSMEs, to train workers in the aerospace industry. For example, Boeing-funded curricula and initiatives have already been launched with aerospace partners such as Rossell Techsys and Tata Advanced Materials Limited (TAML) to train workers on aerospace skills. 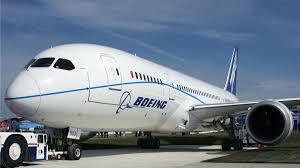 Frontline workers have already been employed with Boeing’s suppliers after completion of training.